Posted by Michael La Prairie on Friday, August 10th, 2018 at 11:56am. In the months following the Great Housing Crash of 2019, Vancouver looks much the same as it had before. Homeless men and women, faces pulled hard by abuse, sit on Hastings Street selling pilfered wares. The Pacific Ocean laps against the Stanley Park seawall, which, during a weekday morning, is crowded. A dust-covered, late model Bentley Flying Spur (retail price: $325,490) is parked on the north side of Alberni Street. But the driver’s-side windows are smashed, and the street itself, once busy servicing those who know how to pronounce “Hermès,” is deserted. From a vantage point on False Creek’s southern shore, a short drive from Chip Wilson’s abandoned, graffiti-scarred home, tourists squint at Yaletown’s sun-soaked green glass towers, still standing proud among a forest of silent construction cranes—testament to the forces that once shaped this city so profoundly and are shaping it yet again. This is Vancouver, post-Homepocalypse. Or, rather, one amped-up version. It’s a future for which many are hoping. Magazine articles with titles like “Praying for a Real Estate Crash” or “Bring on the Real Estate Crash” have reflected and stoked this sentiment, and not without cause. Prices for some new units in the downtown core exceed $3,000 per square foot, putting the city in league with New York and San Francisco. But we’ve been on the verge of “pop” for almost a decade. Could a major property crash be just around the corner? Elisabeth Gugl, an associate professor of economics at UVic, cites the robust provincial economy as a bulwark. 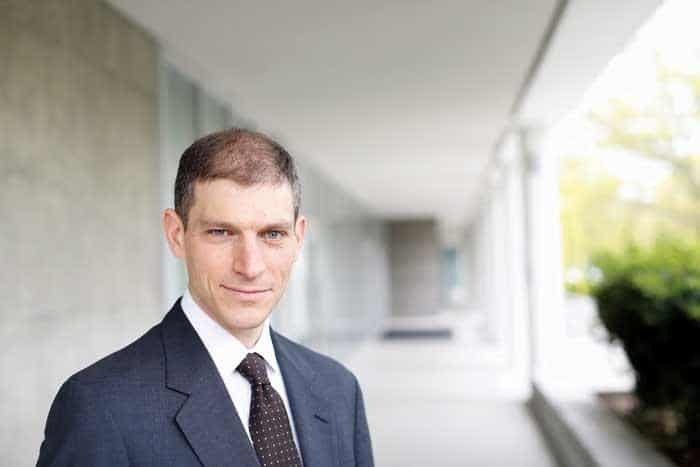 “The fundamentals are strong,” Gugl says, “and so any correction is not going to have such an impact.” An across-the-board price drop of 70 to 80 percent isn’t in the cards, reckons UBC economist Tom Davidoff. “I think 80 percent would be exceedingly unlikely,” says the associate professor at the Sauder School of Business, whose research interests include housing. If a massive correction did occur, it would be confined to the highest-priced homes, where values aren’t supported by local incomes, Davidoff adds. In online forums and casual conversation, though, there’s a growing, palpable longing for some sort of reversal. But even for those who are heavily invested in schadenfreude, if not property, “be careful what you wish for” applies. The first and hardest-hit industries would involve real estate. 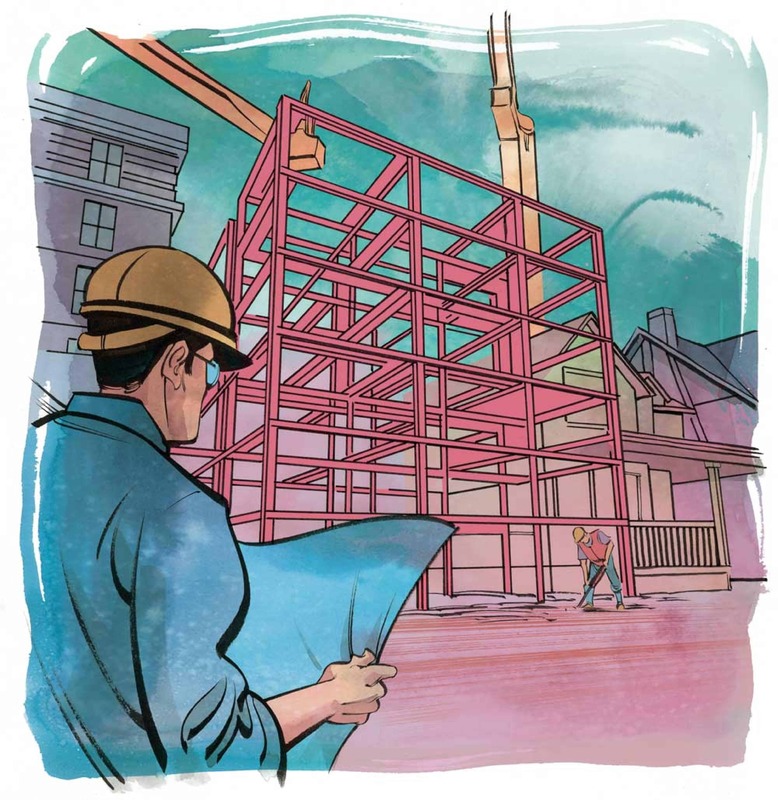 In 2016, construction accounted for about 215,000 jobs throughout the province, according to the British Columbia Construction Association. But ancillary industries would face major difficulties, too. From realtors and mortgage brokers to lawyers and notaries, the pain would be felt deeply and widely. We’ve seen this before, south of the border. “The subprime crisis in the U.S. was really rough on a lot of people, especially people working in the trades,” Davidoff says. Unemployment would rise across the board, reverberating throughout the provincial economy and propelled by the negative wealth effect. When house prices are rising, homeowners adjust their spending, disproportionately reflecting paper gains. The general rule? A 1-percent uptick in prices comes with a 5-percent increase in spending. But when property values dip, the opposite holds true as people cut back on luxury cars, dining out and other non-essentials. Lesson: When the housing market catches cold, the economy gets congestive heart failure. Retirees who had been banking on equity gains to finance their non-working years would have to rethink that strategy, especially if they’d used their homes as a cash machine to fund everything from roof repairs to trips to Cabo. But because most bought before the stratospheric rise in housing prices, they’d likely be insulated from the most toxic effects. Not those who recently began climbing the property ladder. In 2016 the Bank of Canada predicted that a 25-percent drop in Greater Vancouver prices would translate into one in every four mortgages being “underwater”—a negative equity position, where the value of the home would be less than the amount owed on it. That doesn’t even take into account the presale condo market, where many buyers would choose to lose their deposit (even if faced with a potential breach-of-contract lawsuit) rather than take possession of a property whose value has tanked. This puts even more inventory on the market, creating more downward pricing pressure. If prices did crater, it would be a buying opportunity for some renters. But you’d need to be holding a very good hand: employment unaffected by a constricting economy and income streams that could pass the rigorous B-20 mortgage stress test, at least. Then there’s the prospect of buying in a downturning market: when housing prices are dropping and the bottom is unclear—and it’s always unclear until later—will you be the one brave or stupid enough to catch a falling knife? WHO'S CALLING IT: Developers, real estate agents, Ferrari dealers, the guy who just bought. Next year marks the 37th anniversary of the start of the Meibion Glyndwr arson campaign in Wales. This crime spree was the work of nationalist groups opposed to an influx of wealthy English property buyers who had bid up housing prices, rendering Wales unaffordable to the Welsh. Declaring “every white settler is a target,” the militants, who apparently did not possess mirrors, eventually exported their brand of umbrage to London and Liverpool, where a Conservative Party office and real estate agencies were bombed. By the time the campaign ended 12 years after it began, more than 200 holiday cottages had been torched. “Real estate makes people nasty,” says UBC’s Tom Davidoff. That’s one of the first lessons he learned when he first became interested in it as an area of study, he notes. The reasons aren’t elusive: shelter is a fundamental human need, so people understandably get worked up when they see a threat to their living situation. Today in B.C., the possibility that things could get nasty isn’t far-fetched—especially if prices continue to climb steadily. Surging nativism isn’t the only problem on the horizon if housing costs, like some fairy-tale beanstalk, keep growing skyward. But can they? It’s possible. First, credit remains cheap. Canadians have gorged themselves on debt, and our debt-to-disposable-income ratio now hovers around 170 percent, according to Statistics Canada. Yet ultra-low mortgage rates have meant that in the last quarter of 2017, the national DSR, or household debt service ratio (all mortgage and non-mortgage debt commitments, including principal and interest, also known as the monthly nut), was a little less than 14 percent of average disposable income—holding almost steady since 2007. Since July 2017, the Bank of Canada has raised its benchmark interest rate from 0.5 percent to 1.25 percent. Despite those hikes—and a recent warning that more are likely—a cautious, tinkering-at-the-edges approach prevails. That means rates should remain relatively low for the foreseeable future, ensuring that cheap credit and low carrying costs, prime factors in the rise of B.C. house prices, remain in play. But cheap money isn’t the only driver, as urban planner Andy Yan, director of the City Program at SFU, has been saying for years. Yan’s research into non-resident ownership—notably, his 2015 study found that two thirds of the 172 homes sold over six months in select areas of Vancouver’s West Side had been purchased by people with non-Anglicized Chinese names—kicked the foreign buyer discussion up a notch. It also opened him up to the accusation that his approach flirted with racism, a charge levelled by certain stakeholders who some believed were trying to reframe the conversation, or prevent it from taking place. Today, it’s widely recognized that foreign money, mainly from China, has played a major role in Vancouver’s overheated housing market, and not just at the ultra–high end: according to Yan, non-residents purchased almost 20 percent of condos built in the city since 2016, a torrid pace. But can it continue? An assumption: as demand-side measures make things increasingly difficult, global capital will seek out other sandboxes to play in—like booming Montreal, which offers Canadian stability at a discount without the punishing caveats found here. But Yan says that isn’t happening. The reason? “Networks—bidirectional transnational networks that have historic roots in Vancouver,” he says. Yan pulls up a chart on his computer. It shows that Metro Vancouver is largely a place of immigrants: in 2015-16, they made up 40.7 percent of the population—second in North America to Toronto, with 46.1 percent, but dramatically ahead of other centres like New York (28.6 percent) and San Francisco (30 percent). Vancouver is unique, however, because so many of those immigrants hail from China: almost 20 percent, roughly twice the proportions seen in Toronto and San Francisco, and about five times as many as in New York. So, record-low interest rates + huge amounts of speculative capital + local enabling systems for global money = housing prices that could conceivably keep rising, creating a social, class and psychological disconnection between those who own and those who don’t. People just starting to hit their career stride—and those who come after them—will be most affected. If prices continue to climb, many will leave, taking their youthful energy, drive and creativity with them. Others, regardless of age, won’t come; today, recruiting talent for UBC and SFU is very difficult, mainly thanks to cost of living. Business talent shuns us, too. “I don’t think mid-40s executives ever move to Vancouver,” Davidoff says. The hollowing-out of Vancouver has begun, and if prices continue to skyrocket, the impact will be amplified. The only salvation? 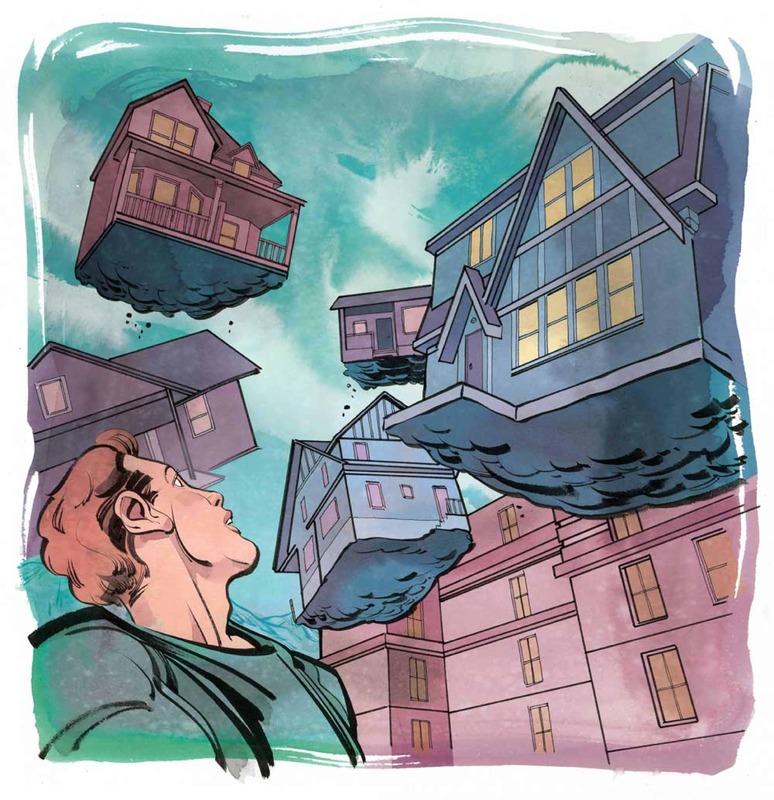 Vancouver becomes so expensive that the factors that once made it attractive no longer exist, and property values collapse—belatedly triggering the Home­pocalypse and forcing a hard reboot of residential real estate. The light at the end of the tunnel is the proverbial oncoming train. “Real estate is Vancouver’s true passion, its real blood sport,” writes author and urban planner Lance Berelowitz in his 2005 book Dream City: Vancouver and the Global Imagination. He’s right. From the Canadian Pacific Railway barons who built Shaughnessy Heights to the current crop of carpetbaggers who go door to door pitching the virtues of land assemblies, B.C.’s post-colonial history revolves around trying to sell, resell and squeeze value out of land. This is the economic story of a province where extraction has always trumped production. Even when we’re engaged in production, the story is complex. 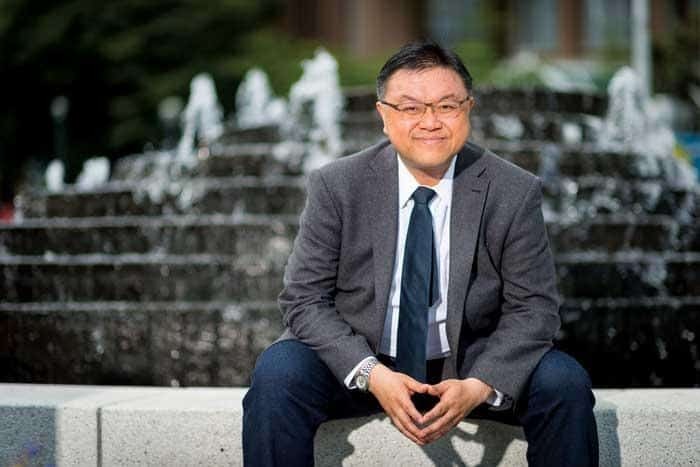 Over the past decade, says SFU’s Andy Yan, the real estate industry grew by almost 50 percent; the sector bests fishing, logging and mining as B.C.’s most critical economic engine. (Real estate accounted for 18.36 percent of the province’s gross domestic product in 2016, Statscan reports. In Alberta, oil, gas, mining and quarrying combined for just 16.98 percent of GDP.) Yet over that same period, according to Yan, the number of construction workers only grew by 10 percent. Other industry subsets—real estate agents, for instance—grew disproportionately. The bottom line: when it comes to real estate employment trends, we’re more about transaction than creation. Still, if prices modestly decrease—or even flatline—it could help. “I think that’s a great scenario,” Davidoff says. “If you have nominal growth, or minus–1 percent a year for five, 10, 15 years—the longer we take a pause, the better.” But can a pause be orchestrated? In a climate where reversion to mean has become old thinking, many agree that something needs to be done to restore sanity to the market. One way is to build. “We need more supply” has been the longstanding refrain, sung by everyone from social housing activists and urban planners to the development community. The reasoning is ostensibly bulletproof: with the right mix of supply and demand, the twin chakras of housing, balance is attainable. But are we building the right supply? “Yes. We’re building housing and, in fact, we’re building tiny little one-bedrooms, which is exactly what the market wants,” Davidoff asserts. Part of the supply-sider argument toys with hubris: our province is so supernaturally beautiful, goes this line, that people will always come here in droves. Unless more units are built, newcomers will put even more strain on affordability because demand will continue to outstrip supply. It’s a compelling explanation, but it may not be the whole truth. A 2017 study by Kwantlen Polytechnic University geographer John Rose found that from 2001 to 2016, while housing prices in Metro Vancouver jumped, the overall population didn’t; for every 100 households who relocated here, 119 units of housing came on the market, pointing to speculative buying, domestic and foreign, as a culprit. The terrifying thing about the “Up, Up and Away!” scenario is that all of the factors necessary for it to occur exist. To address them, we’ve already seen extraordinary measures. Federally, the B-20 financial stress test now makes it likely that lenders will reject almost one in five mortgage applications subject to the test. Vancouver’s Empty Homes Tax is up and running, though initial results indicate far fewer empty homes, or honest disclosures, than expected. Provincially, raising the existing foreign buyer tax to 20 percent, instituting a so-called speculation tax (that initially cast its net far too wide) and an additional “school tax” levy on homes assessed north of $3 million were key moves. The last measure has the furthest-reaching implications, signalling the shift from income to wealth taxation. Although loathed by some, this ensures that, say, the affluent suburban homeowner claiming a Downtown Eastside income can no longer escape paying their fair share while at the same time often amassing unheard-of equity gains. So much in play—all of it designed to give us a breather to create a more equitable, inclusive and, yes, even happier place. But what would that place look like? Single-family homes would be scarcer—perhaps a necessary shift in a city where for every demolished house, only five housing units get built. (In Toronto and Montreal, the ratios are 20:1 and 30:1, respectively.) In these newly densified areas, what will you build? Purpose-built rental and social housing units are less profitable for developers, so they’d need incentives to take on these projects. Another problem, less discussed? Those kinds of dwellings are less profitable for cities, too, UVic economist Elisabeth Gugl notes. Compared to, say, the larger municipal districts of Ontario, which can spread housing policy over a larger tax base, the relatively small Vancouver and Victoria regions compete with nearby municipalities for property tax dollars. They face a stark choice: build rental accommodation and forgo significant tax revenue, or approve condos. There are alternatives. To address what’s known as the missing middle—the lack of multifamily homes that were once integrated into blocks of predominantly single-family dwellings, like, for example, the walk-up apartments of Vancouver’s Kitsilano and South Granville areas—some have suggested other means of making space within established neighbourhoods. In other words, allow homeowners to monetize their land and assume some of the redevelopment heavy lifting—while creating living spaces that, in their intimacy, theoretically encourage neighbourliness. It’s pretty to think so. But are we too late? Now that we’re on the international radar, are we just a long play for global investors and domestic speculators? One thing’s certain. The future isn’t what it used to be.